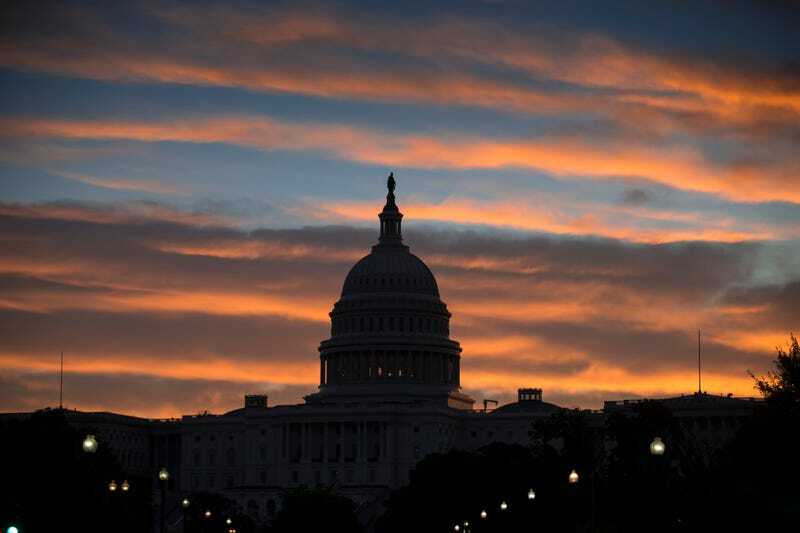 The clock is ticking as a full-fledged government shutdown looms on the horizon. House Republicans remain resolute in their mission to keep Obamacare from kicking in on October 1, the first day of the new fiscal year. The science and tech communities, meanwhile, are bracing for the worst—again. Needless to say, the shutdown will not have a positive effect on the government. As many as 800,000 federal employees face immediate furloughs, hitting the economy like a massive round of layoffs, and millions more risk missing out on paychecks. The situation will also have immediate impact on the science and technology, where countless projects will be put on hold. Here are just a few of the headliners. The country's space agency almost always gets hit hard in situations like this. Should the shutdown take effect, pretty much all of NASA will be shut down, so you can kiss the possibility of more mind-blowing water discoveries away. Mission Control in Houston, however, will stay up and running to keep our astronauts on the International Space Station in good shape. That's fewer than 600 or the agency's 18,000 employees, though, so it's hardly a consolation. "To protect the life of the crew as well as the assets themselves, we would continue to support planned operations of the ISS during any funding hiatus," NASA's plan reads. That said: "If a satellite mission has not yet been launched, work will generally cease on that project." Climate and weather scientists will also be taking off for a forced, unpaid vacation, so you can say goodbye to progress on global warming solutions. More broadly speaking, government research will grind to a halt after the shutdown. Federal funding sources like the National Institute of Health will be hit hard, though projects won't be crippled completely. NIH grant recipients, for instance, will be able to spend existing grant money, but if they have pretty much any problem, they're out of luck since the entire support network will be offline during a shutdown. The medical researchers won't be starting any new projects, and existing payments will be delayed. Things are a little more dire at the National Science Foundation. Rather than delays, the NSF says that it will make no payments during a shutdown. As some have pointed out, it's almost impossible to know how many breakthroughs or innovations we'll fail to discover while a lack of funding have left organizations like the NSF out in the rain. Heck, even if researchers were getting paid, they'd have a hard time doing their work since the Library of Congress and friends will be shuttering their doors after the shutdown. Not concerned yet? Consider for a quick second that the government shutdown will also affect the Centers for Disease Control which, NBC says, "would be severely limited in spotting or investigating disease outbreaks, from flu to that mysterious MERS virus from the Middle East." Those severe limitations include the halting of the CDC's seasonal influenza program and neglect of the AIDS Drug Assistance Program Grants. The federal government isn't going to let anything catastrophic happen to the masterpieces during a shutdown, but they're not going to be letting any tourists in there, either. This means that the majority of the Smithsonian's staff of 6,300 researchers, curators and administrators will take a hike in the event of a shutdown. Thankfully for the safe of the art and artifacts, however, the security staff and essential employees will stick around to make sure nothing gets broken or stolen. Like the Smithsonian museums, the National Zoo will be more or less shut down with the rest of the government during a shutdown. Someone will make sure that the animals are fed, however, and veterinary staff will remain on call in case any of them get hurt or sick. Much to the chagrin of the entire nation, however, the panda cam that's been showing the world Mei Xiang and her new baby cub will go offline. That's right, ladies and gentlemen. The panda cam will go dark.